Sparkle Power! : Sparkle Power Discount Code!! Still wondering what to give your mom, mother-in-law, grandmother, sister, best friend for Mother's Day? I'll make it easier for you. 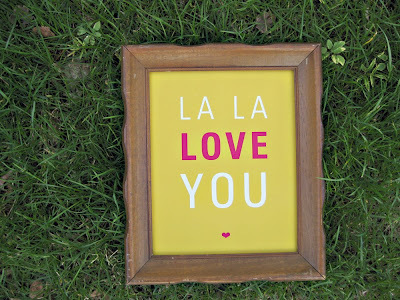 How about a La La Love You print? Whether framed in something new or vintage, it makes a great & lovely gift. I'll make it even easier for you...enter the code HOT MOMMA in the "notes to seller" & I'll refund you 15%! That goes for everything in the store. The discount code is valid until May 1st. Just Be Jewelry Discount Code!! !